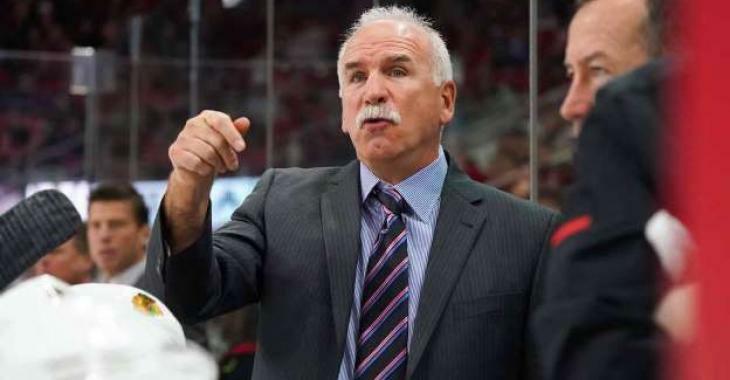 NHL News : Quenneville inching closer to signing with a team!? Quenneville inching closer to signing with a team!? This would be a great move! And the GM and Q have a great friendship! It is easy and quite understandable to still be shaken up over the fact that the Chicago Blackhawks fired head coach Joel Quenneville on Tuesday. He was the longest-tenured coach in the National Hockey League in his 11th season and won three Stanley Cups with the Hawks. With 890 wins, Quenneville is second on the all-time list next to only Scotty Bowman’s 1,244. “I don’t agree with it myself, I think Joel Quenneville is an amazing guy and a great coach. He’ll be out of work about 72 hours if he wants to work again right away. The time might be coming sooner than expected, if that's even possible. On Thursday morning, NHL insider Darren Dreger was on the air on Edmonton's TSN 1260 and revealed, while talking about the Panthers' latest struggles, how there are a lot of Quenneville whispers down in Florida. Panthers general manager Dale Tallon is known to be quite a patient man across the NHL, however, with a 3-5-3 record and the team standing last in the Atlantic Division with just nine points, enough is enough. "Dale Tallon is one who doesn’t even like the word ‘panic,’ so he’s not going to panic. In saying that, I wouldn’t be surprised if he’s pretty eager to try and shake the culture of this group a little bit. I don’t get the sense that there’s going to be anything significant, but if it continues to drag on where this team is still playing sluggishly, maybe then the general manager does step in in some way, shape or form. “There’s been whispers since Joel Quenneville was let go by the Chicago Blackhawks. ‘Well hey, Dale Tallon and Joel Quenneville obviously have a great relationship dating back to the Blackhawks days when Tallon was a big part of the success there.’"
However, Dreger still remained cautious when talking about Quenneville landing in Florida at the moment. Only hours after the firing in Chicago, The Hockey Central at Noon guys broke down teams in the NHL who they feel could seriously consider firing their coach now that Quenneville is available. The Panthers were not mentioned in their list. They believe the St. Louis Blues, Detroit Red Wings, Anaheim Ducks, Columbus Blue Jackets and Philadelphia Flyers, would be, or should be, interested.